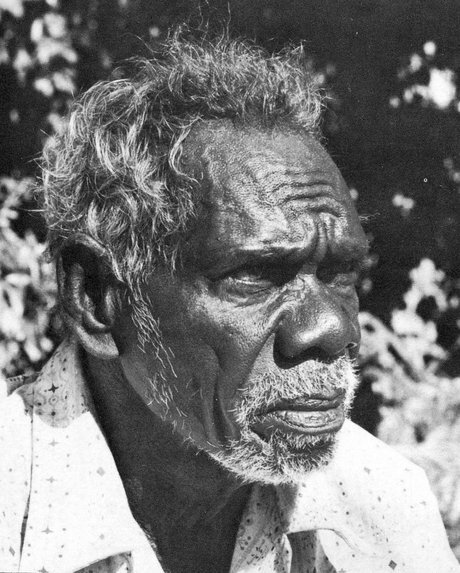 Samuel Manggudja (Garnarradj) was born in the Gumaderr River region of western Arnhem Land, and spent his early years living a traditional lifestyle. His father took him to Goulburn Island Mission as a young boy and he attended school there. Later, in 1930, he went to join his promised wife in Gunbalanya (Oenpelli), where he lived for the rest of his life. Manggudja had strong knowledge of ceremonial matters, and was a key assistant in the research work conducted by the anthropologists Ronald and Catherine Berndt in Gunbalanya in the late 1940s. Ronald Berndt collected a number of paintings by Manggudja in 1947, and these are now housed in the Berndt Museum of Anthropology at the University of Western Australia, Perth. 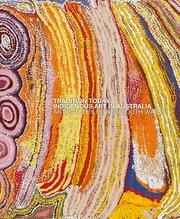 Manggudja’s work in the Art Gallery of New South Wales, Sydney, is part of the extensive gift by Dr Stuart Scougall, and dates from 1960. These works characteristically feature dotted infill for the figures, a style that relates strongly to the rock art of Manggudja’s clan lands. It was only later, in the 1970s, that the crosshatched infill, borrowed from ceremonial painting, became an ubiquitous style in the western Arnhem Land region. Manggudja’s painting, Man with leprosy , 1961, relates to many rock paintings that were the product of sorcery practices. Paintings of figures with elongated or detached limbs are said to have been used to magically transfer these afflictions to a nominated victim. Once the image was created, the name of the victim was called out over the painting. Figure with the long fingers , 1960, relates to paintings of the namorrorddo, or shooting star spirit, that is said to grasp the souls of the living with its clawed hands and rush away across the sky with them. Manggudja continued to develop as an artist throughout the 1970s and his works were included in exhibitions arranged by the then Aboriginal Arts Board of the Australia Council and in its Oenpelli Bark Painting publication of 1979. Samuel Manggudja served on the Aboriginal Arts Board from 1973 to 1975.